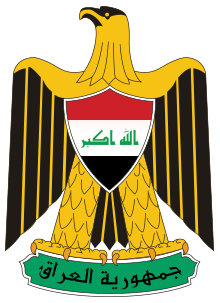 The Independent High Electoral Commission (Arabic: المفوضية العليا المستقلة للانتخابات‎‎; IHEC) is Iraq's electoral commission. The electoral commission is headed by a nine-member board. Seven of those members are voting and must be Iraqi citizens. The other two members are the Chief Electoral Officer and an outside expert appointed by the United Nations. 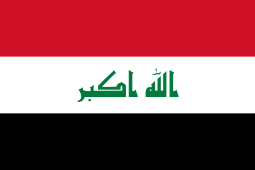 It was set up in May 2004 by the Coalition Provisional Authority (CPA) as the Independent Election Commission of Iraq (IECI) by CPA Order 92 as the exclusive electoral authority in Iraq to begin work towards holding an election in the country. In 2007 the IECI was renamed the Independent High Electoral Commission (IHEC) in accordance with Law 11 (2007) of the Council of Representatives of Iraq (COR). In the 2005 election the expert was Colombian Carlos Valenzuela. The current Chief Electoral Officer is Adil Lami. The commission set up and ran the January 2005 Iraqi legislative election as well as the simultaneous elections for provincial governments and the Kurdistan Regional Government. Little is known about the commission, its procedures, organization, composition, or acts. The commission receives lists of candidates to ban from the Council of Representatives Accountability and Justice Commission. It also set up the voting places in fourteen nations outside of Iraq. The Commission is also tasked with dealing with complaints about the election. ↑ Bakri, Nada; Shadid, Anthony (7 January 2010). "Iraqi Panel Moves to Bar Sunni From March Election: Move Made to Bar Iraqi From Ballot". New York Times. ↑ Karadsheh, Jomana; Bassil, Yousif (4 February 2010). "Move to ban candidates sparks political crisis in Iraq". CNN. ↑ Myers, Steven Lee (26 April 2010). "Election Ruling in Iraq Favors Prime Minister as Crisis Grows". New York Times. ↑ USAID Support to the Iraq Election Process Press release by USAID November 18, 2004. Accessed July 22, 2009. Wikinews has related news: Iraq ballots to be audited due to voting "anomalies"